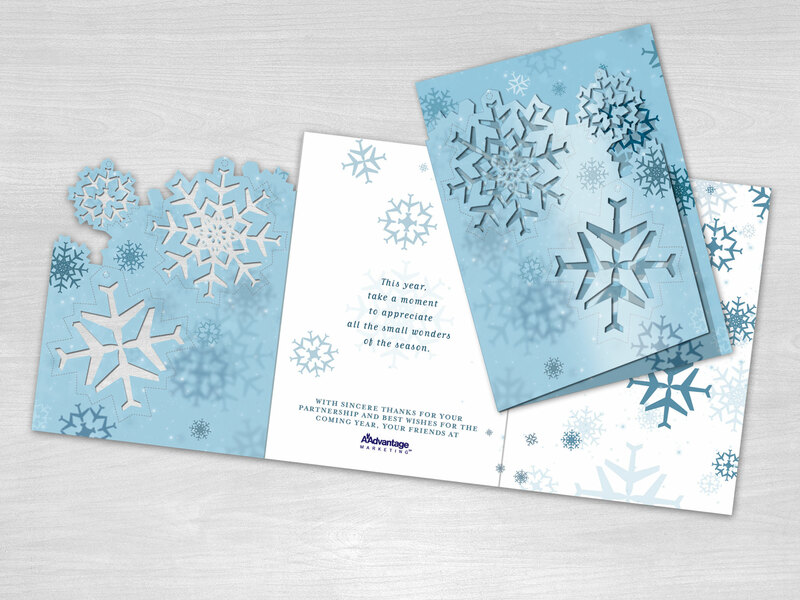 American Airlines Holiday Greeting Card sent to their brand partners. Ornaments were designed using the plane images to create snowflakes. Three of the ornaments on the front cover were die-cut to pop-out and be hung on the tree.